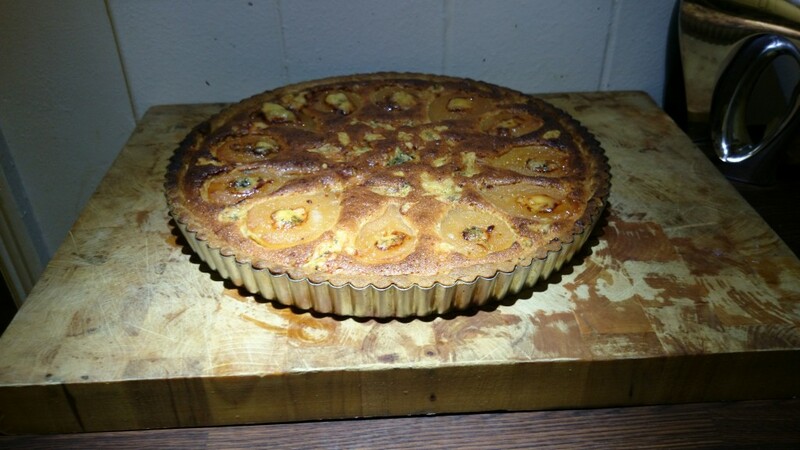 A super-successful off-the-cuff knock-up tart. 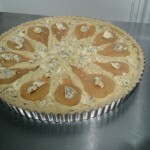 I’d had in my mind for a few days the idea of combining strong blue cheese with my spiced pears in the form of a cake, tart, or pie. The concept being to effectively combine “dessert” and “cheese course” in one tasty dish. The end result went down very well with nearly everyone begging for a second helping. 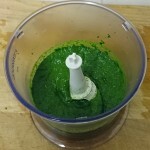 Made roughly following the recipe from Pam Corbin’s River Cottage preserves handbook – mine contained some orange peel, bay leaves, and pepper-corns and no cinnamon. 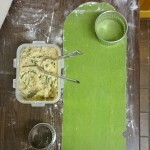 A similar recipe can be found here. Some Stilton is used instead of butter in the frangipane, and this is creamed in with the butter & sugar. 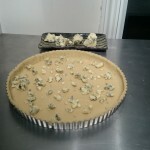 Crumble about a third of the remaining Stilton in the base of the tart before spreading in the frangipane mix. I simply popped my half pears in whole, cut-side-up. 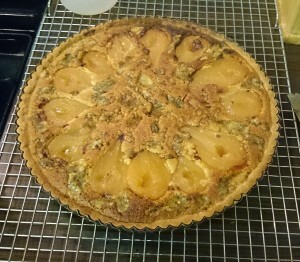 Crumble the remaining Stilton around the pears on top of the frangipane and pop a little knob of it into the core of each pear. I found it only needed about 1 hour in a 190C conventional oven to be perfectly cooked. To complement the tart I used about half a cup of the pear vinegar-syrup combined with half a cup of caster sugar, boiled to form a thick syrup and then flavoured with a small dash of smoky/peaty Caol Ila whisky. 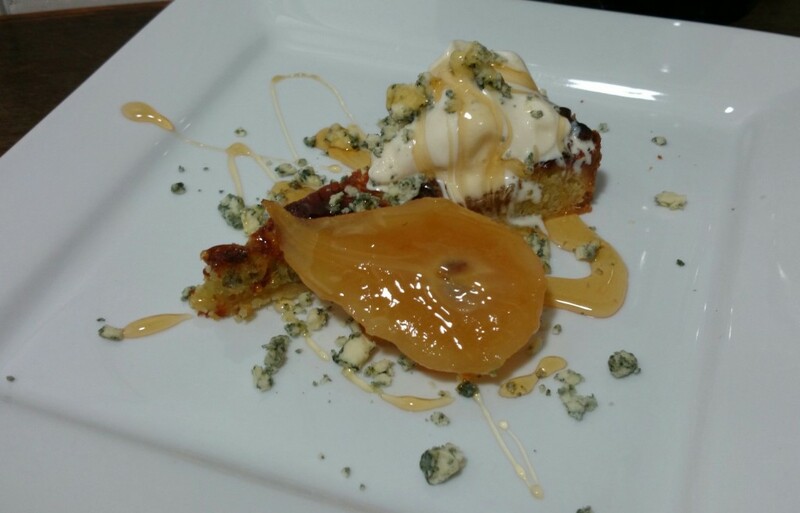 A slice of tart was served with a ball of good vanilla bean icecream, a crumble of Stilton, and a drizzle of syrup. 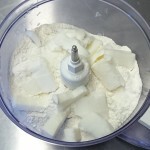 I rarely make desserts… but after the response to this one I made it again using a lard pastry instead of butter – both work just fine, but I preferred the lard pastry. I’d suggest it is definitely best enjoyed warm and with a little cream or icecream to cut through the blue-cheesy richness. To bring this more on-topic! Quite simply: what would go with a stinky-cheese-course is what will work here. Keeping in mind the tart adds another layer of richness and sweetness that’ll pull the guts out of a lot of beers. So go BIG. I’m thinking Brewdog Paradox series beers, or Harvistoun Ola Dubh. 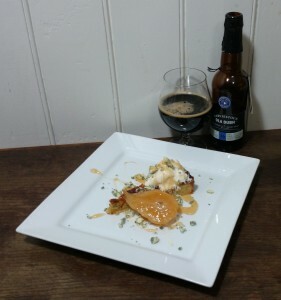 In fact that’s what I tried this with myself, the Harvistoun Ola Dubh 16 and it was an excellent complement to the dessert. On a different tack big barleywines and so-called “scotch ales” would also work – perhaps Adnams Tally Ho, or BrewDog Dogma. I’m pondering Yeastie Boys xeRRex, and if it’s intense peat smoked insanity would be too much… only one way to find out. If only I could get me some xeRRex! I’ve cooked with the Badger Poacher’s Choice before, amusing myself by combining it with pheasant in the Poacher’s Pheasant Stew. 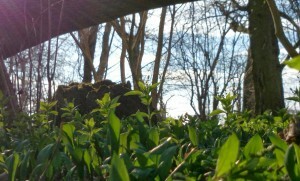 Pheasant is a bird much admired in the recipes of the Poacher’s Cookbook. 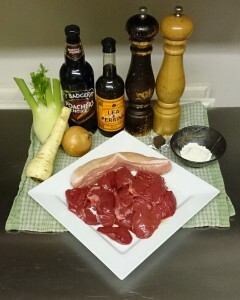 In a similar “humourous” vein venison becomes a natural partner to the beer as well. I’m easily amused I suppose. 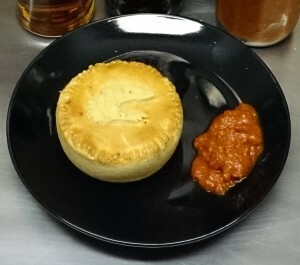 To add my own twist to an idea that is certainly unlikely to be a new one I’m going to combine the ingredients and present them Aussie style, replicating – as best I can – the classic Australian bakery “meat pie“. 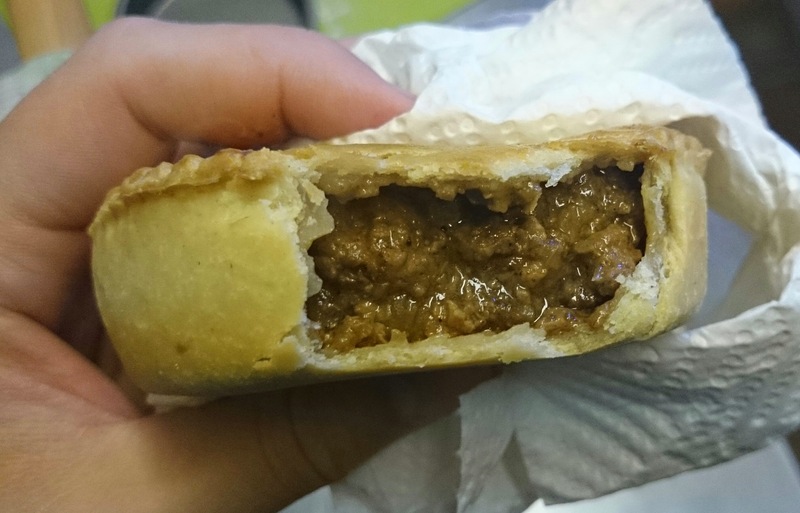 The “meat” in a “meat pie” is infamously never specified; with the joke being “there aren’t many stray cats in a town with a good bakery”. In reality beef is the typical “meat” in question, although I don’t see why it shouldn’t be kangaroo… and if kangaroo then why not venison? 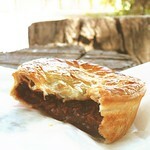 For reference here’s some photos I found of what look to me like the archetypal “Aussie Meat Pie”! I am no pie cook but if I were to cook one at home I definitely wouldn’t use mince unless you mince some chuck or gravy beef yourself as the shop mince is definitely made from topside or similar and generally tough and inedible unless you get a good ‘fatty’ mix, you might have a good butcher! 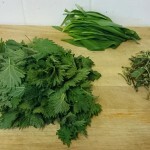 Otherwise use some well aged chuck (my preference) and dice it up with all the connective tissue and fatty bits intact. Make a really long slow cook casserole, I would add some roots and some good stock and brown the meat in seasoned flour. You could make a bit of a carbonnade but it needs to end up dark, caramelized and not too runny for pie. 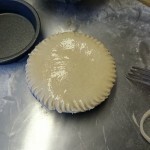 Pastry would be shortcrust on the bottom if you wish or no bottom and just a good lard pastry on top. Since I’m using venison rather than beef I’ll coarsely mince it but add a bit of pork belly to increase the fat ratio – venison is a very lean meat. I’ve added a little veg to round it out, but it is meant to be a “meat pie” so I’ve kept veg to a minimum. The Poacher’s Choice is a rich and licorice-forward beer – which should complement the flavours from the fennel bulb and parsnip. Finally, I’d normally have a 10x reduced cubes of stock in the freezer but I’m all out at the moment – so rather than 50ml super-reduced real beef stock I’ve used a commercial stock cube… either would do, or use a normal beef-stock instead of the top-up water. 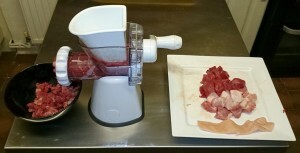 I minced my own using a 5mm plate, a good butcher should be happy to do this for you. 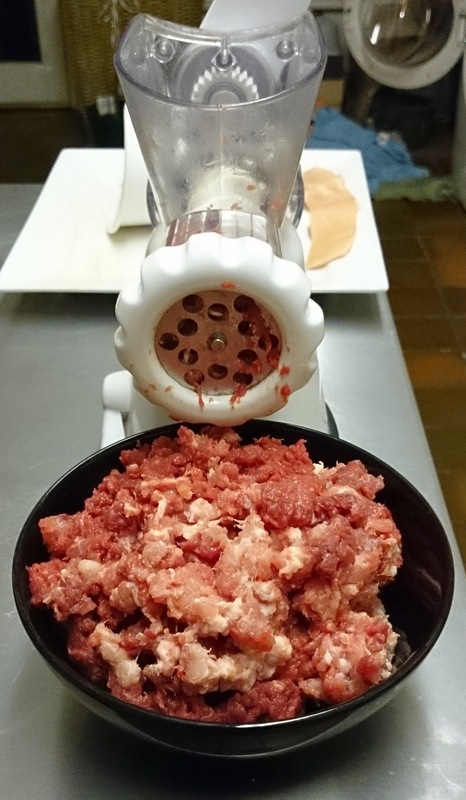 As above I ground my own – do remove the skin though, I find it doesn’t go though a mincer very well. 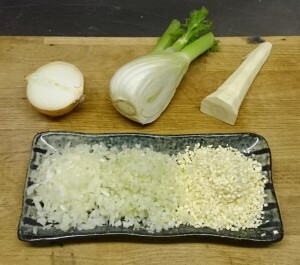 You can put the skin in, the slow-cook will make it completely tender – but fine-chop it by hand similar to the veg. Or rich ale of your choice – the Poacher’s Choice is described as “a smooth, dark ale enhanced by a touch of liquorice for spicy sweetness and damson for a soft, subtly fruity taste”. 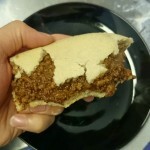 The filling is basically a low-and-slow stew but made with ground rather than cubed meat – sort of like a good bolognese. 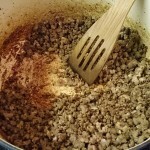 First heat the cooking oil in an oven-proof pot/dish/casserole and thoroughly brown the ground meat. Add the diced vegetables and fry off for a couple of minutes before sprinkling in the plain flour and mixing in a little at a time until evenly distributed. 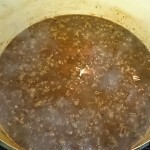 Crumble in the stock cube, add the black pepper, Wostershire sauce, and pour in the bottle of beer. Finally add just enough water to bring the liquid level up to the meat level. 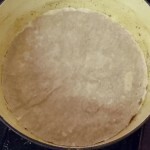 Bring to a mere simmer, pop a cartouche of baking paper over the mix, and then with the lid on the pot put the whole thing in the oven at 120°C for about 5 hours. After this time the meat should be tender and the gravy barely present. A taste of the meat proves it a little dry. But take it out of the oven and give it time… after a day in the fridge the meat content has moistened up. Mum pointed me to the lard pastry in the Aussie cooking bible “The Cook’s Companion“, which she gave me a copy of many years ago. 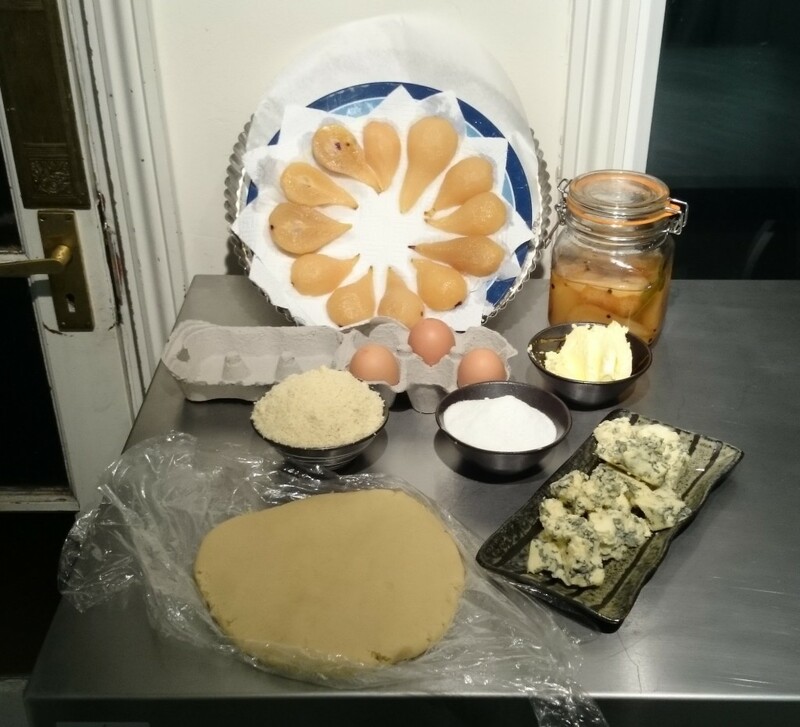 Stephanie Alexander says of this pastry: “This traditional pastry is from the north of England. 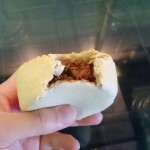 It is very flexible and rather biscuit-like when cooked.” I’m not sure how specifically northern lard pastry is, but the description in general seems fit for an all-round pastry for a pie. So I’m using it for the top and the bottom. 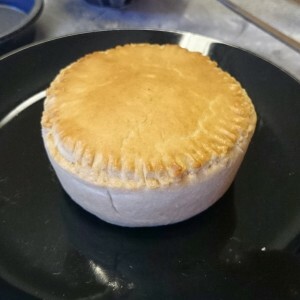 Many online recipes for “Aussie meat pies” use a puff for the top… which isn’t quite right, but it ought to be something a little flaky so perhaps a rough-puff would be more authentic. 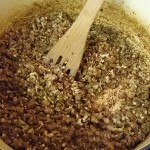 Rub together, or food-process, all ingredients except the water and form into a breadcrumb-like consistency. 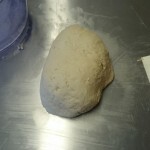 Then slowly combine in water to form a soft dough. You likely will not need all 180ml of water – I only needed about 150ml. 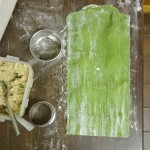 Wrap the dough in some cling-film and pop in the fridge until needed, giving it at least 20 minutes. SEE BELOW FOR IMPROVED BOTTOM-CRUST UPDATE! 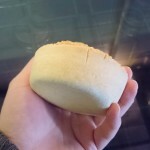 A proper meat-pie should be single-serve sized but at least 10cm in diameter – they can be circular, oval, or even a round-cornered quadrilateral. A typical on-the-foot Aussie bakery lunch would be a pie and a “pusscake” (something sweet with custard in it – I’ll never forget being sent out for “pusscakes” by a paver I was labouring for one teenage summer, it was a vocabulary-expanding job). The non-sweet-toothed may opt for a second pie, or a sausage roll or pasty. Preheat an oven to 200°C. 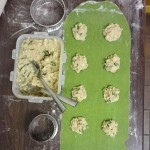 Roll sufficient dough for bases and top out to a thickness of 1.5 to 2mm. 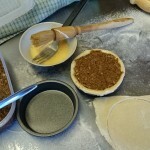 Line pie trays, fill level with pie filling, seal top on with a little eggwash… fancy crimping is not typical, a back of a fork is over-doing it even. Lightly brush the top with eggwash for that shiny-golden effect. Appropriate sized & not-overfilled pies do not really need slits in top. Pop into the oven and bake for about 30 minutes… they’re done when golden brown and piping hot all the way through. Pies can be kept warm in the oven, but are best enjoyed right away. 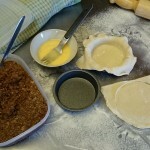 If you’re using circular pie dishes a great test is: it is done when golden on top and you can spin the pie in the dish! 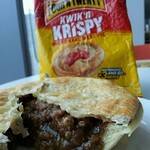 That’s a bonza pie mate! I’ve almost nailed it. 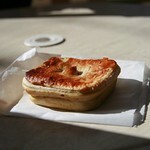 The filling is inauthentically generous on the meat, a typical Aussie bakery pie has more thick gravy and less actual meat. 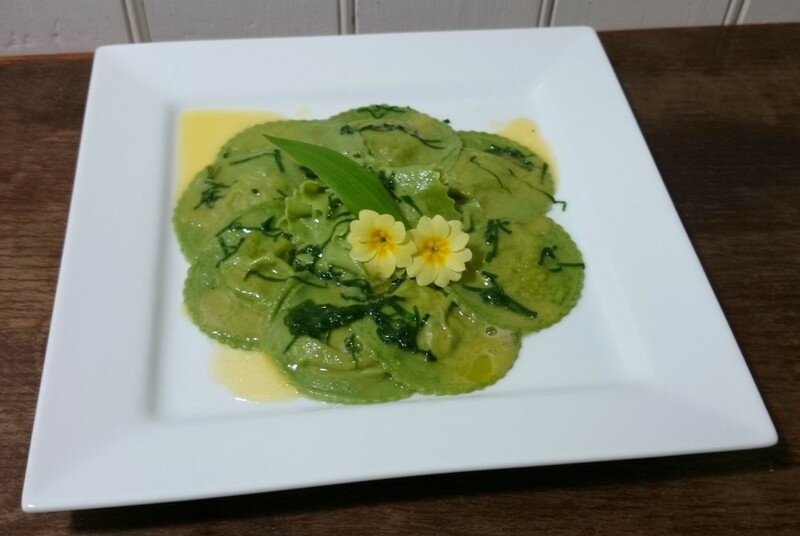 This could probably be achieved by using a full 500ml of beef stock instead of the water & doubling the amount of flour – or post-thickening with cornflour. The crust is the main problem. 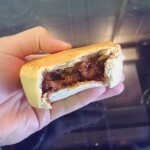 It is good in that holds the pie together – I’ve made a pie that can be eaten in a hand. But it is just a little too brittle. As I got to the end of my pie it started to fall apart. Perhaps the secret is to pop some eggwhite in the dough instead of water. The top of the pie looks fantastic – but it isn’t quite authentic either, it lacks “flakiness” and perhaps I should have used a rough-puff. Finally, on the dimensions front it is just a little deeper than it should be in my opinion. Authenticity aside… it’s a pretty good first attempt & a damn fine pie. It is very rich, you certainly don’t want it to be any larger than it is. The Poacher’s Choice flavour comes through but doesn’t dominate and the meat has resistance but is not chewy or dry. 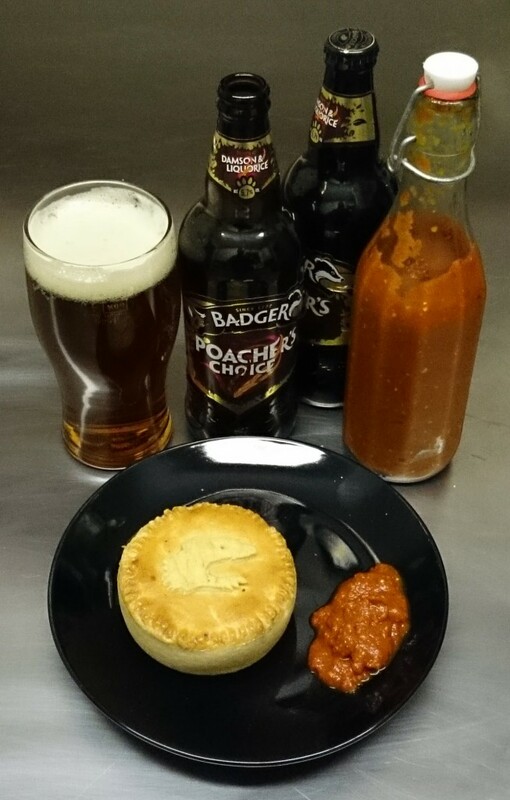 Traditionally a Aussie meat pie is enjoyed with plenty of dead horse – but I’m enjoying mine with a slathering of my home-made oaky-beer chilli sauce! Method: weigh eggs into a food processor (with metal or, preferably, plastic blade attachment) and then add twice their weight in butter. It is important that this is done at “room temperature”. 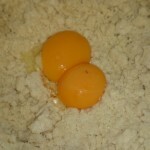 Turn the food processor on and blitz eggs and butter for 30 seconds to loosely combine. 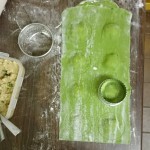 Add a third of the flour (120g) and then blitz this for at least 5 minutes until a smooth and even textured paste is formed. 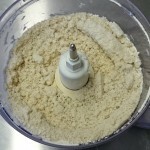 While the processor is running gradually add the remaining flour – the dough should form into a ball in your food processor. 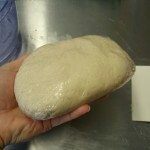 Wrap flattened ball of dough in cling-film and pop into the fridge for a couple of hours, or longer – until required. I was able to eat this whole pie and the improved bottom crust didn’t split or break at all. Durham Brewery “Bombay 106″ (7.0%) – styled as a “traditional IPA” this uses pale malts and a lot of British hops, it is dry-hopped with Goldings. What we get in the mouth is a big earthy IPA – full of peppery spice and resiny bitterness. Not your brash new-world hop-aroma-explosion, something far more cultured. Imagine it sitting in a big old leather chair, reading a leather clad tome, wearing a dinner jacket and smoking a pipe. Hardknott “Infra Red” (6.5%) – a pretty punchy IPA-type beer, it describes itself as “oxymoronic” being a “red IPA”. Infra Red has been one of my favourite beers since I discovered it some years past. I think it may have changed a little through time, becoming just a little cleaner & lighter, less full figured – but it is certainly still a head-turner. 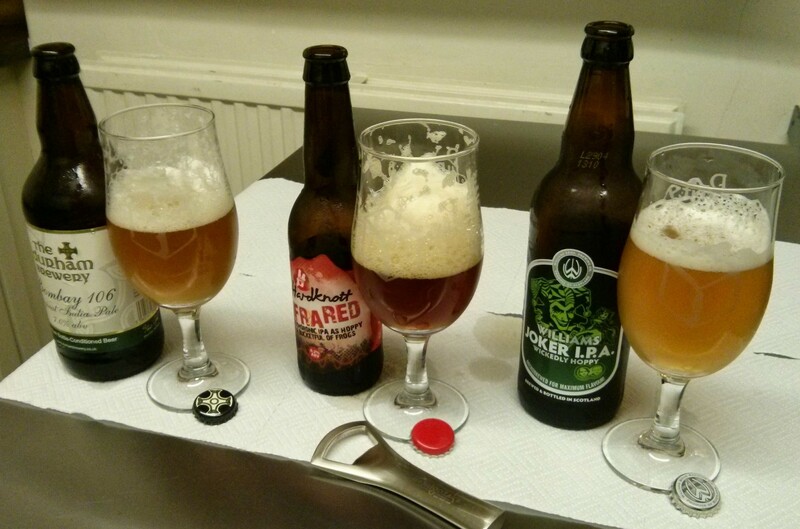 Anyway – a rich beer with a powerful hop hit using some new-world hops. Williams Brothers “Joker” (5%) – this is more a what I consider a “British IPA”, it takes on the big American hops and combines them with a crisp clean pale malt base without the big sweet caramel note present in a lot of US IPAs. Yanks call it “balanced”, I call it beer that tastes like Werther’s Originals. That said, this Joker was a bit on the lighter side as far as the hops go – almost more of a hoppy golden ale than an IPA. Nimble, light on its feet, a beer that can very easily slip past you leaving the merest whiff of its presence. Now unfortunately I didn’t get a really brilliant British “pale” IPA, my favourite variety – crisp, low sweetness, light malt profile, about 6%, and super-charged with hops. This was the sort of beer I had, for some reason, expected the Joker to be… so I was a little disappointed. But oh well! Slice beetroot into 2mm thick slices – best to use a mandolin. 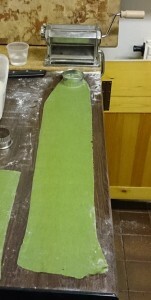 Slice pepper into 2mm thick rings – mandolin again. 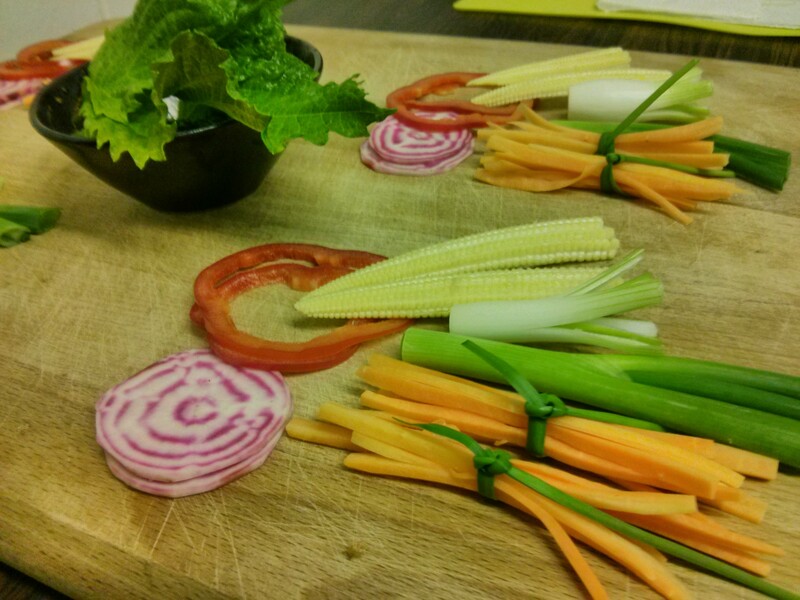 Halve the spring onions lengthways and separate tops from bottoms. “Matchstick” the carrot and tie in small bundles with some garlic chives. Pull tentacles from squiddies, and open out and halve the bodies and give them a light cross-hatch scoring across the inner flesh. Make sure all of the above is dry, pat dry cut surfaces and rest on paper towels. 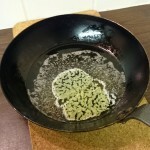 You want to get your oil on the stove before preparing the batter. Please be careful with hot oil, it is dangerous and over-heated oil can combust! Remember: Don’t drink and fry! You really want to have a suitable thermometer to monitor your oil temperature. 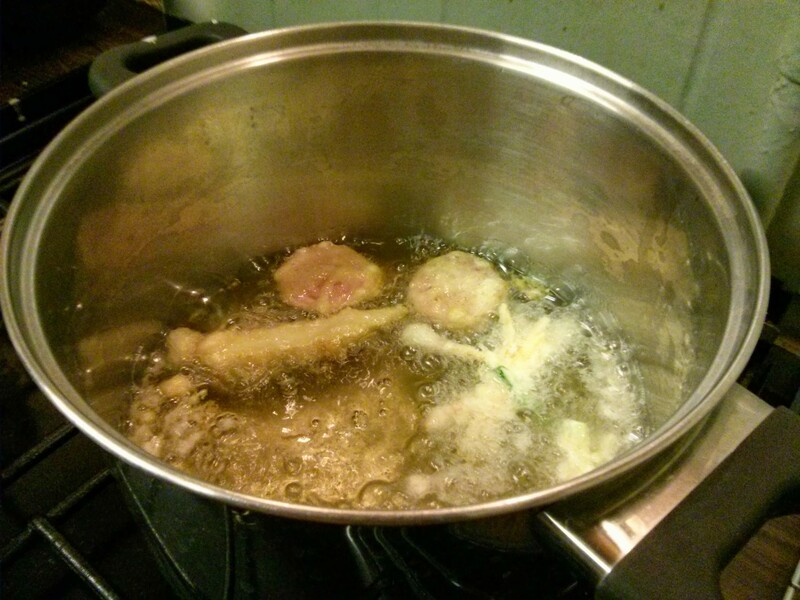 I’m using a litre of sunflower oil (under £2 worth), but any oil suitable for deep-frying will do the job. 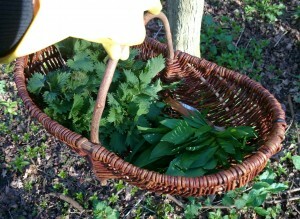 Use plenty and put it in a saucepan/pot that leaves plenty of space. Preferably on a burner at the back of the stove. Get the oil in the heat – your target temperature is 180°C. 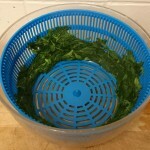 If you have a deep-fryer this is all much simpler! 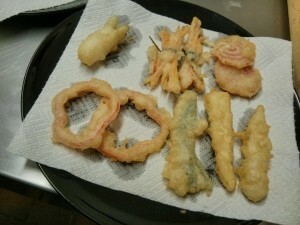 One of the well known “secrets” of tempura is cold batter. Some recipes call for icy cold water others for everything being at fridge temperature. 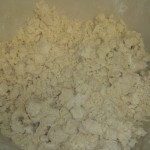 So two hours before preparation I put a bag of ordinary plainflour in the freezer. I put my eggs and beers into the fridge (~4°C). Then 15 minutes before production I popped my beers into the freezer too. It’s going to be one FRIGID batter. I have also made a “control” batter that uses ice-cold water instead of beer. Your oil is at 180°C… your batter is mixed (if there is any delay pop your batter in the fridge, but aim to have no delay), your tempura-bits are prepared, it is fry o’clock! 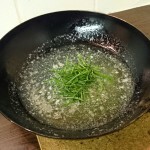 Quickly and carefully dunk an item in the batter then drop it into the hot oil. It is good to have the item a bit drippy, this adds to the tempura effect. Do a few items in quick succession – do not over-crowd. Let them fry for about a minute, then flip and give another minute before fishing out and putting on paper towel. Let the oil return to 180°C before doing the next batch. For raw seafood that isn’t sashimi-grade you may want to fry for a little longer, experiment and work out what the “sweet spot” is. For thin small/squid like mine I think a minute extra is plenty. 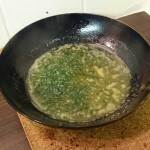 A bit of a dipping sauce is normally served with tempura – a simple one combines soy sauce umami with the zing of lemon juice or rice vinegar. Based on this I knocked up a sauce for each beer. About 4 tablespoons of the beer, 1 of soy, 1 teaspoon lemon juice (from a bottle alas), and a splash of rice vinegar “to taste”. 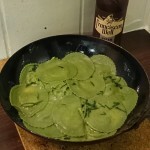 Each batter definitely had its own character – note no seasoning was used, no salt and no pepper – the dipping sauces provided some seasoning but my tasting of the batters didn’t use the sauces. 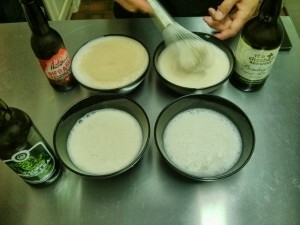 All three beer batters gave a distinct “seasoned” edge, an umami, that the plain batter lacked. They also coloured up more than the plain batter – possibly due to sugars in the beer (the Infra Red batter was always noticeably darker – not surprising). The Joker batter simply tasted like a damn good batter, not specifically beery and with no bitterness. The Infra Red batter was the most true to its beer – mainly a malt profile thing, but also with a touch of hop bitterness & resin coming through. The Bombay 106 was the most definitively “beery” batter – it has a beery flavour, and the most distinct bitterness. By comparison to all three the plain batter was a bit… dull, really. 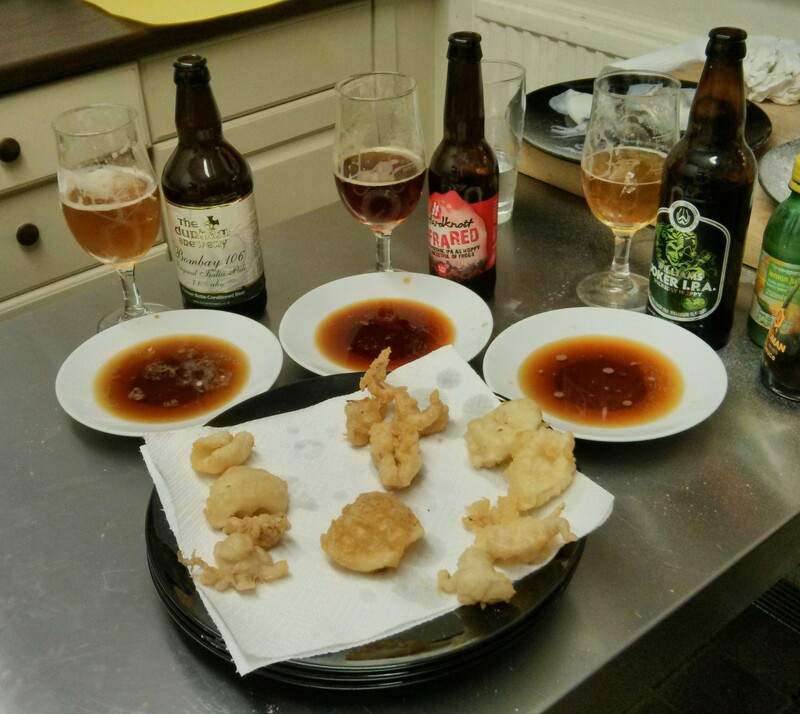 None of the beer batters seemed to be better than the other for “tempura effect”, however the plain one was a little less “puffy” and more authentic in appearance. 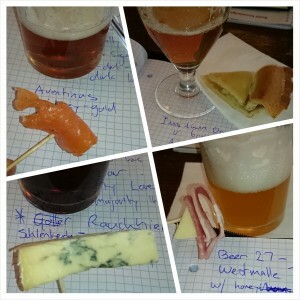 As for the dipping sauces – they had very similar characteristics, but were all more noticeably beer-based. The Joker was a smooth sauce that complemented all batters. 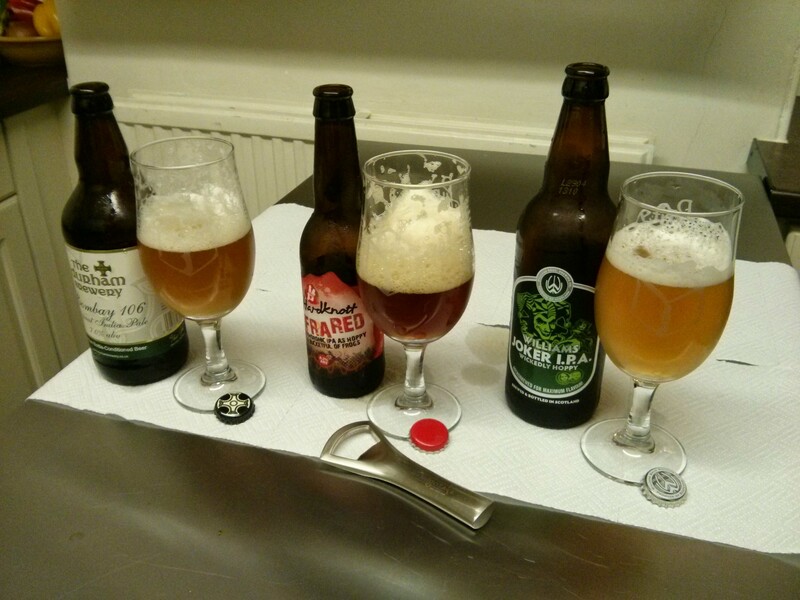 The Infra Red was my preference – it tasted unmistakably of the beer and needed to be used in moderation. Whilst the Bombay 106 tasted like serious “beery soy”, and I didn’t really like it that much. Were I to serve a beer battered thing to someone based off this experience which would I choose? I’m not sure – I think it would be down to context. If I simply wanted a good versatile batter the Joker is ahead of the game here – because it is a pretty normal beer with enough body to beef up the batter but simple and light enough to not distract or clash. I’m not really sure why or how it is an “IPA” but it is a good beer. 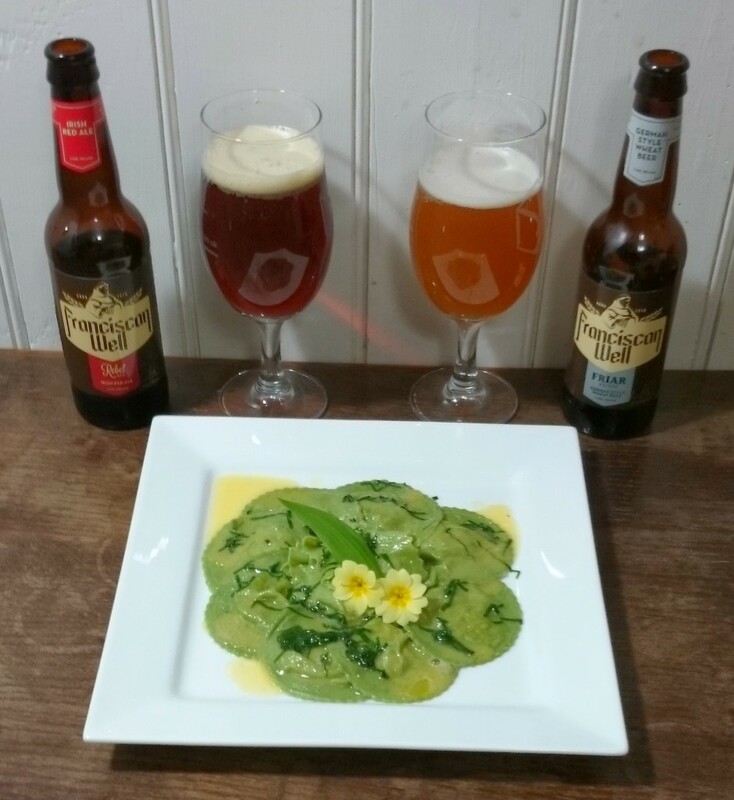 If I want to showcase a beer edge then it is the other two that have that edge, with the Bombay 106 being suitable for both the squid and the vegetables. The Infra Red batter was specifically Infra Red flavoured and was a good complement to the vegetables, but was too much for the squid. If I was trying to highlight specific beer flavours matched against the beer in question it’d be the full Infra Red set I’d pick (batter, sauce, and beer). 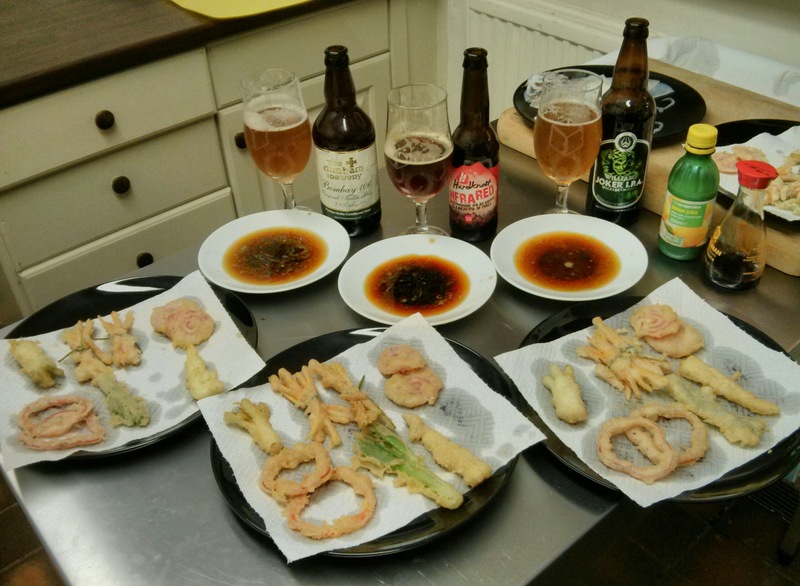 As for pairing with tempura-everything? Again the Joker wins here. It isn’t anything crazy or different on the beer-front, but it has a good body and flavour to match the battered goodies – complementing without overwhelming. There’s no clear winner here – but that was never the point! 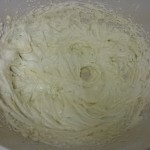 The point is beer batter isn’t just beer batter – the beer you choose is important. I’d be interested to know what successes, and perhaps failures, others have had with beer batters. …the sound of my heart tearing free of my chest, popping out my mouth, and bouncing off into the distance whilst making sad whimpering sounds.